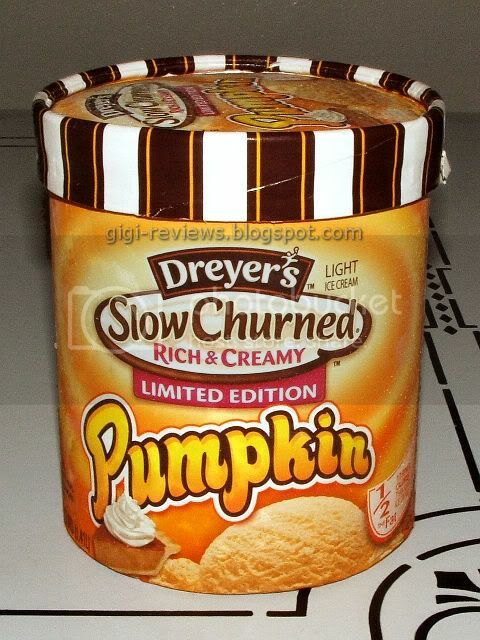 OK Dreyer's, I am giving you a second chance on the Pumpkin. 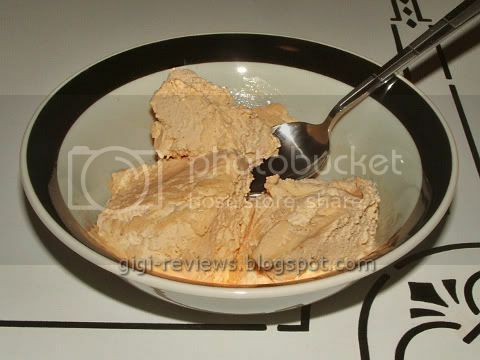 Earlier this fall I did a review of the no-longer-ice-cream "Fun Flavors" Pumpkin replacement. (That was before my self imposed ban on the "Fun Flavors," aka "frozen dairy dessert.") And to be fair to the Fun Flavors version, it's not that it was bad -- it just was not as good as the previous actual ice cream flavor had been. 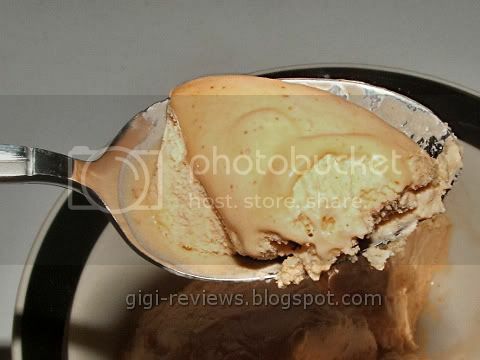 This Slow Churned version has the advantage of actually being ice cream...even if it is light ice cream. However, this version tastes remarkably close to the Fun Flavors version. The actual pumpkin flavor seems to take a back seat to the spicing. In the Fun Flavors version it was the cinnamon that stood out. In this version it seems to be more about the nutmeg. It's not excessively sweet, which I liked, but it does go a little overboard on the seasoning. The texture is what you would expect of light ice cream. It's very soft. Actually, "fluffy" might be a good way to describe it. For a light ice cream it's not a bad texture. All in all, still not as good as the standard ice cream version of the past. In terms of taste, I think I actually preferred the Fun Flavors version to the Slow Churned Light version. But I like the Slow Churned texture more.